EEPA 2018 – Meet the Jury! 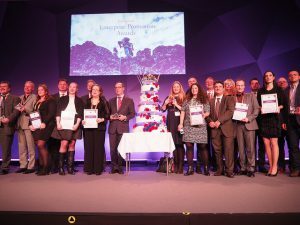 The European EEPA deadline is approaching, but who will be judging all of the national entries this year? 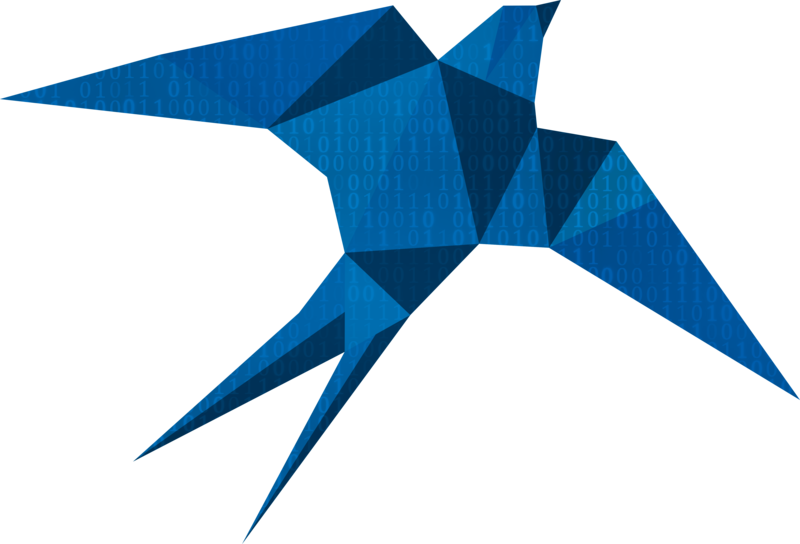 Who is responsible for creating the EEPA 2018 European shortlist? Meet your 2018 EEPA jury! On this year’s jury we have some familiar retuning faces and some new members. This year seven jurors from different disciplines and backgrounds will collaboratively review all of the national submissions before meeting in Brussels to decide the 2018 European shortlist. In addition to coming from different backgrounds our jury members also come from across Europe so as to bring their own national contexts and expertise to the judging panel. This year we are pleased to welcome back Prof. Thomas M. Cooney (Professor in Entrepreneurship, Dublin Institute of Technology), Thomas Wobben (Committee of the Regions), Lisa Steigertahl (Entrepreneurship Consultant) and Kristin Schreiber (DG for Internal Market, Industry, Entrepreneurship and SMEs) to once again sit on the EEPA jury. We would also like to welcome our new jury members Jesús Casado Navarro-Rubio (Secretary General of European Family Business), Dr. Matthias Tschirf (Austrian SME Envoy), Anna van Nunen (Director of Grand Jury Prize Winner 2017 Innofest) and Alexander Manolev (Bulgarian SME Envoy). 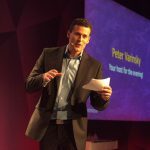 Stay tuned to Promoting Enterprise to meet all of the new jury members over the next few weeks and be sure to read up on our veteran jury members Prof. Thomas M. Cooney, Thomas Wobben, Lisa Steigertahl and Kristin Schreiber right here on the News Portal! The SME Assembly 2017 has drawn to a close after three action packed days of networking, policy sessions, masterclasses, tours and awards. As always, the SME Assembly brought together people from across the world all striving towards creating a European environment in which SMEs can thrive and grow. The day began bright and early with the European Investment Project Portal (EIPP) breakfast, which was followed by an engaging policy session featuring an address from European Commission Vice President Jyrki Katanien, a speech from Director of DG Growth Kristin Schreiber, and an in depth look at the EIPP presented by a member of Vice President Katanien’s cabinet, Florentine Hopmeier. The dedicated EIPP policy session was then followed by the first ever live EIPP matchmaking event which simulated the work of the portal in real life. This was the first event of its kind allowing investors and entrepreneurs to meet face to face and make valuable connections for the future. In parallel to the EIPP sessions, the 21st Century Enterprise segment of the Assembly featured different speakers discussing pertinent topics such as female entrepreneurship and the need to adapt the education system to modern work trends and society. There was also lively discussion on the role of youth in the workforce and their different attitudes in comparison to older generations. Speakers agreed with each other in that these differences should be celebrated and utilised rather than used to divide, and spoke of the need to integrate the different generations that make up the present workforce. On the subject of youth, the session was lucky enough to have three young panellists representing that very demographic on stage. These panellists were of course the three finalists of the highly contested Youth Essay Competition which this year focused on the skills that future entrepreneurs need. All three finalists took to the stage to make spirited speeches and covered topics such as: cultural fusion being the backbone of brilliant ideas, the necessity for soft skills and the need for patience on the way to success. After the audience vote Oksana Vedimdska was announced as the deserving winner of this year’s competition, congratulations Oksana! We will be bringing you more information on Oksana and the other two finalists right here on the Portal in the form of exclusive interviews, so be sure to keep following us weekly! The Assembly continued on with the final policy sessions and masterclasses, on interesting topics such as Digitalisation for SMEs from the Watify project, a look at the Ideas from Europe alumni, the role of Ecommerce for SMEs and the hot topic of the Single Market and whether it poses new barriers. Access all the photos here. How can you win the Youth Essay Competition 2017? – Find out what the jury is looking for! The deadline for the European Youth Essay Competition is approaching, but there is still time left for submissions! Today on Promoting Enterprise the 2017 essay competition jury are, offering their advice, top tips and what they will be looking for in an entry. Interested in what they have to say? Have a read through and be sure to submit an entry before the deadline on 08 September 2017. What will the jurors be looking for in an entry? What will make an entry stand out? As the jury is so diverse what stands out for one juror may not for another, yet all of them have said that they will be looking for both innovation and truthfulness. Przemysław Grzywa, is looking for an essay that “comes right from the heart instead of Google search engine”, a sentiment echoed by Cristina Fernández, who sees the competition as “a chance to let the audience know where exactly the young are facing a roadblock to their path as entrepreneurs”. For more information about the competition have a look right here on Promoting Enterprise and we look forward to receiving your entries! The entry deadline for the European level of the EEPA competition closed on 3 July 2017. The entries are now being checked and prepared for evaluation by the Jury. In 2017 305 National EEPA entries were received from 32 participating countries. 56 projects were then selected by the National Co-ordinators as the best of the best and were put forward for the European level of the competition. Interested in finding out who will be competing for the European awards? What does each country have to offer this year? Promoting Enterprise will be introducing you to all the categories and national winners throughout the summer…so stay tuned! The EEPA Jury will meet in Brussels in September to decide on a project shortlist for each of the EEPA categories. The shortlisted projects will be announced soon after the Brussels meeting, and the winner in each category will be revealed at the EEPA Awards Ceremony during the SME Assembly on 23 November in Tallinn, Estonia. Keep up with all the latest EEPA news right here on Promoting Enterprise, and good luck to all competing projects! 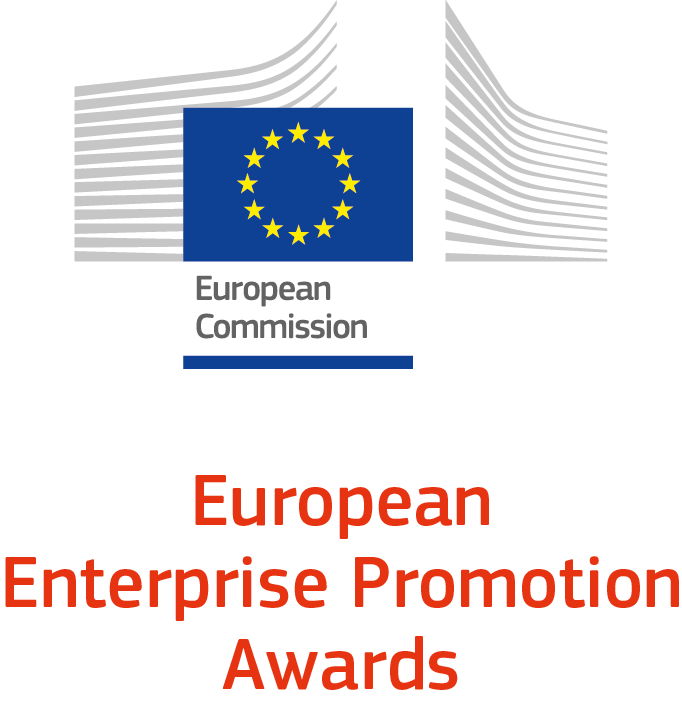 Each year, in the European Enterprise Promotion Awards, an independent high-level Jury is faced with the difficult task of drawing up a shortlist of projects that will compete for the first prize during the SME Assembly. This year is no different – the EEPA Jury should select three shortlisted projects in each of the six project categories by mid-September, a task that is made especially difficult by the high quality of the participating projects. The EEPA Jury is typically made up of a representative from the European Commission, the Committee of the Regions, the countries holding the first and second semester EU presidencies (this year the Netherlands and Slovakia), a European SME organisation, the Grand Jury prize winner from the previous year (this year Lisbon Micro-Entrepreneurship) and a representative from academia. We have been introducing you to the members of this year’s EEPA Jury in a series of blog posts over the past few weeks, So far, there has been Dublin Institute of Technology Entrepreneurship Professor Thomas M. Cooney, Thomas Wobben from the Committee of the Regions, Pieter Waasdorp from the Dutch Ministry of Economic Affairs, UEAPME Vice President Alban Maggiar, Ana Margarida Figueiredo from Lisbon Micro-Entrepreneurship and Marián Letovanec from the Slovak Business Agency. Last, but by no means least, this week it is the turn of the Jury member from the European Commission, represented this year by Kristin Schreiber from the Directorate General for Internal Market, Industry, Entrepreneurship and SMEs (DG GROW). 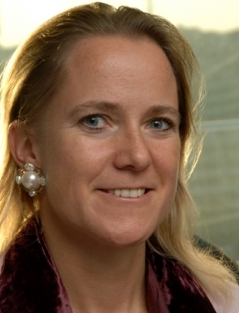 Kristin joined the European Commission in 1990 and has held a variety of positions since then. She was appointed Director of the COSME Programme and SME policy in 2015 having served as Director for Governance of the Single Market and International Affairs, first in DG MARKT and then in DG GROW since February 2014. Previously, she was Head of Cabinet of Employment Commissioner Vladimir Špidla, Deputy Head of Cabinet of Internal Market Commissioner Michel Barnier and a member of the Cabinet of Enlargement Commissioner Günter Verheugen. She has also served as Head of Unit for International Affairs in DG Employment and as an administrator in various DG’s. For the EEPA Awards, individual countries were invited to conduct national competitions to determine the best projects to represent their nation. Hundreds of projects competed in these national competitions in 2016 for a chance to vie for an EEPA. Countries were allowed to nominate a maximum of two entries per category to the European competition. Each Jury member reads and assesses every entry against defined criteria covering: originality and feasibility, impact on the economy, improvement of stakeholder relations and transferability. The Jury then meets to discuss their top entries in each category, before agreeing on winners, runners up and any special mentions. The shortlist is published shortly after the jury meeting and the winners are announced during the Awards Ceremony at the SME Assembly.